The Alimony Tax Deduction: Will 2018 Be the Best Year to Divorce? If you’re going to get divorced, it usually doesn’t matter too much when you do it. Unless your business is on the verge of going public, or you’re about to inherit a million dollars, the timing of your divorce is generally not a big deal. But now that Congress has changed the alimony tax deduction, the timing of your divorce matters. If you wait until 2019 to get divorced, you and your spouse could potentially pay thousands (or tens of thousands) more in income taxes. Alimony (spousal support/maintenance) is money that one spouse pays to support the other. The spouse who earns more money typically pays support to the spouse who makes less money. The alimony tax deduction is a federal law that made alimony tax deductible to the spouse who pays it. Meanwhile the spouse who receives alimony has to declare it as income. Since the paying spouse is usually in a higher tax bracket than the receiving spouse, the couples who took advantage of the alimony tax deduction usually paid less income taxes overall. That left more money available to both of them after their divorce. Is All Alimony Tax Deductible? The payment wasn’t really child support or a property settlement. Of course, if a divorcing couple wanted to make alimony taxable to the spouse who paid it they could. But in most cases divorcing couples took advantage of the alimony tax deduction. It made financial sense. Let’s take a simple (totally made up!) example. Let’s say that Mary, the higher earning spouse, was going to pay John, the stay at home dad, $5000 per month in alimony. The flip side, of course, was that when John got the $5,000 from Mary every month, he had to save a part of that money to pay his income taxes later. But because John earned less than Mary, he was in a lower income tax bracket. So, John might only have to pay income taxes of $1,000 per month on the $5,000 he received. That left him with $4,000 per month that he could spend. While this might have seemed like a better deal for John than for Mary, this tax benefit actually gave both parties more money. It also made settling their divorce way easier. Since Mary got a tax benefit from supporting John, paying alimony was a little less onerous. If Mary and John were divorcing amicably, they could figure out a support scenario that gave each of them enough money to live on. Now, though, all of that is about to change. In December, 2017, Congress passed a law that eliminated the alimony tax deduction. That means that if you get divorced on January 1, 2019, or later, you will not get a tax deduction for any support you pay to your spouse. If you are the person receiving support, it will now come to you tax-free. Neither you, nor your spouse, nor your attorneys, will be able to change this. From January 1, 2019 on, you can never make alimony tax deductible to the person who pays it. At first blush, you might think that this is awesome news for those who will be getting alimony. After all, who doesn’t want tax-free money?! If you dig a little deeper, though, you’ll find that the truth is the opposite. First of all, tax break or no tax break, NO ONE likes having to support their ex after their divorce. 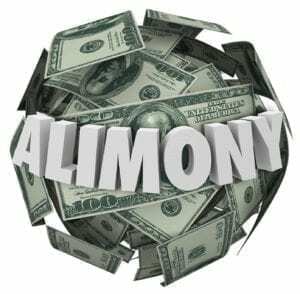 Now, since the spouse who pays alimony will also have to pay income taxes on that alimony, the alimony payments will cost that spouse more. A lot more. That means that divorcing spouses will fight harder than ever to NOT have to pay alimony. It also means that spouses who need support will likely get less. If you live in a state that has a formula for calculating alimony, that formula is likely to change. While no one knows for sure what any state is going to do about their spousal support formulas, it’s very likely that states will change these calculations in light of the tax law changes. That means that the formulas will be adjusted downwards. Divorcing spouses will likely get less support after January 1, 2019. 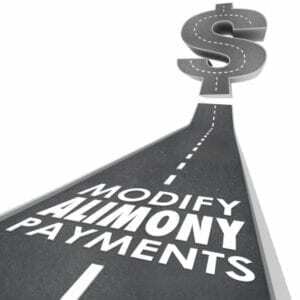 In states that don’t have an alimony formula, judges will likely make similar changes. They will adjust their alimony awards downwards once the paying spouses can no longer deduct spousal support from their taxable income. The bottom line in all of this is that from 2019 on, less people will pay less money to support their ex spouses. Should You Get Divorced in 2018? With the law changing so dramatically in 2019, experts are expecting divorcing couples to “rush to the courthouse” in 2018. If alimony is or may be involved in your divorce, getting divorced in 2018 makes a whole lot of sense. It will also make your divorce more predictable. Right now, you can easily find out what your state’s alimony laws are. Lawyers understand how most judges will rule on alimony issues. The judges have been applying the same law for years. But, now that the law has changed, everything is uncertain. Until the new tax law “settles in,” predicting what might happen in any divorce case will be crap shoot. That uncertainty makes settling divorce cases a thousand times harder. How Will The New Tax Laws Affect You if You’re Divorced Before 2019? The change in the tax laws also raises questions for those who are already divorced. Many alimony awards are reviewable. That means that, at set periods of time the ex-couple has to re-negotiate the amount or duration of support. Also, if parties’ circumstances changed after divorce, alimony could be changed then too. All of that made divorced couples wonder whether they would lose their alimony tax deduction if they changed an existing support award after January 1, 2019. The answer under the new tax law is: No. Having a divorce strategy sounds incredibly cold and calculating. Unfortunately, with the new tax law changes looming ahead, NOT having a divorce strategy could cost you big time. If you’re on the fence about whether you should get divorced or not, think about the new tax laws. While no one should get divorced just because of the tax law changes, if you’re 99% sure that you want a divorce, and you or your spouse may need spousal support, you’d be foolish not to consider whether getting divorced now makes sense. Finally, remember that divorce never happens as quickly as you want. While you may think that you still have plenty of time to get divorced by the end of the year, think again. Getting divorced takes time. Sometimes it takes a lot of time. Plus, the closer we get to December 31, 2018, the more crazy divorce courts are likely to become. Like it or not, at the moment, the timing of your divorce can have a huge impact on your financial future. Just like in so many other areas of life, in divorce, right now timing is everything. I am currently paying Pre Alamoney will I need to have my divorce settled before Jan.01,2019 to get the tax deduction for the rest of my life? And will this also affect what taxes ill be paying after i retire she will be getting 30% from my pension? I’m not retiring till 2024. She will be getting about 30% of my pension of About $50,000 so how will that work for tax purposes I am in PA. If you finalize your divorce before January 1, 2019, you will still be able to take advantage of the alimony tax deduction for as long as you pay alimony (assuming that you don’t change that deduction yourself, or that Congress doesn’t change the laws again.) As for the rest of your questions, I’m afraid I can’t answer them. I am not licensed to practice law in PA. You’re going to have to ask your lawyer and your accountant those questions. I am trying to delay my divorce to get the new tax benefit. Nothing has been filled yet nor served, as of may 10. What starts the clock and how long does it take? I’m not sure what you mean by delaying your divorce to get the new tax benefit. If you’re in line to get maintenance/alimony/spousal support, getting tax free money certainly seems like it will be a benefit. However, what you’re not thinking about is that, according to experts, after January 1, 2019, most people will get LESS money in support because of the new tax law changes. The maintenance guidelines are in the process of being revised downwards. In states with no guidelines, experts are saying that judges will be even less likely to grant support, and that, when they do, they will award spouses LESS money in support. So, while you may be getting tax-free money, you are also likely to be getting much less money (net) than you would if you resolve your divorce this year. If you’re in line to pay maintenance/alimony/spousal support, you are going to be taxed on money that you never get to put in your pocket. Even if the net amount that you pay is the same now as it would be after January 1, giving away post-tax dollars hurts more. As for your question about what starts the clock, if you are divorced before midnight on December 31, 2018, you can still take advantage of the alimony tax deduction. If you’re not divorced by that time you can’t. Ever. I am going through a divorce now and my wife wants a one time payment of $95,000. We have agreed to deposit $35,000 from my 401k to her 401. I will owe her an additional $60,000 of which I wanted to give her an additional $40k from my 401 plus the federal tax amount of $8,000 that she will be charged to file it on her taxes next year. She will also have a total of $40k in income she is telling me that the $8000 is not enough if she accepts the $40 from my 401 because adding her salary income of $40 plus the 401 will put her in a higher tax bracket of around 30%. She lives in Iowa now is this a fact? Also, will I be able to file this alimony amount on my 2018 taxes? I wish I could help you, but what you’re asking is for legal advice that I can’t give online. I also can’t give legal advice outside of Illinois. What’s more, to answer your question properly, someone will have to look at all the facts and figures involved in your case in detail. 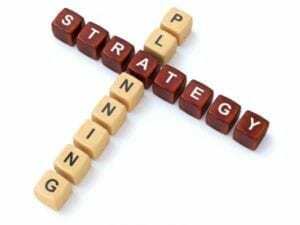 I suggest you talk to an attorney or a divorce financial adviser in your area. They should be able to give you the answers you’re looking for. My daughter, who lives in CA, is in the middle of a divorce. I have read the new tax law re: alimony, but I just came across an article that says: “CA requires a six month waiting period after papers are finalized, for a divorce to take effect.” It goes on to say that the new tax change will, therefore, apply (no deductions and no inclusion) if the agreement was not signed by June 30. I realize that you cannot discuss CA law since you practice in IL, but, in general, do you know whether the IRS will hold that the signing date of the agreement is binding, or will it bow to state law provisions? Honestly, I don’t know. The federal tax law as it stands says if you divorce on or after Jan 1, 2019 there is no more alimony tax deduction. If you can’t get legally divorced in California by December 31, 2018 already, then it might be too late for you if you live in California. But, again, I don’t know. I would definitely talk to a California tax attorney and/or divorce attorney about this to get a definitive answer. My wife filled for divorce in December 2017, and when we went to dates hiring in early February our lawyers couldn’t get their calendars to match up so our pendente lite hiring wasn’t until August 6th and pretrial was on September 6th. The first open trial date is March 16, 2019. I am paying alimony. I have two questions that my attorneys can’t answer and told me I needed to contact a tax lawyer all while charging me over 120K now for their services. 1st- Since I am paying pendente lite alimony does that Grandfather me in? 2nd- Since the State or the County doesn’t have a date in 2018 is their anything I can do? Oh my! I’m not a tax attorney and I can’t give you legal advice online. So I have to start by saying that you need to ask these questions to either a tax lawyer or a CPA. That having been said, let me see if I can help. 1. My understanding of the alimony tax deduction is that it will no longer be available for any divorce agreements that are executed after December 31, 2018. Period. If there are exceptions to that, you’ll have to ask a CPA or tax attorney. 2. I don’t know where you’re living, so I can’t advise you on the court docket in your area. What I can tell you is that you still have one option if you want to take advantage of the alimony tax deduction this year: settle. If you can settle and get your divorce finalized by the end of this year, you’ll still be able to take advantage of the deduction. I know this is probably not what you wanted to hear. Sorry. My ex never paid alimony, so my attorney put an encumbrance on some land that was in an estate that would eventually go to my ex and his siblings. The alimony payments were to stop when I turned 65, several years ago. Currently, the ex and his siblings are able to divide the land/estate, and I should receive a sizable payment for back alimony (after the lien is removed). Will I need to pay taxes on the late alimony? That’s a question you need to talk to your accountant or tax attorney about. It’s not something I can answer online. Sorry. I wish I could help you, but what you are asking for is a legal opinion that I just can’t give you online. Your best bet will be to talk to a lawyer in your area about this. 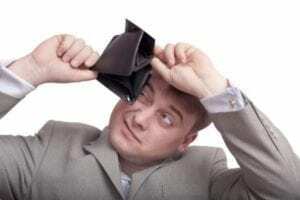 We have a legal separation agreement that was signed in 2018 and includes monthly alimony payments to me. This year I am filing taxes as married filing separately. I plan to claim the alimony as income for 2018 and my husband plans to deduct it. The divorce decree is expected in February 2019. Do I assume that the 2019 taxes will need to be filed according to the new law, or will we continue file as we will this year, since the separation agreement was in 2018? I’m afraid that’s a legal question you will have to ask an attorney in your area. 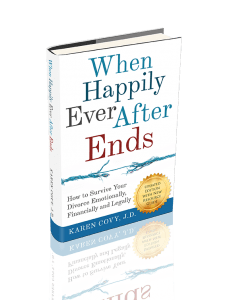 What if i payoff ex-spouse a lump sum to end alimony payments in 2018, can I deduct that even though it is not required by court? That’s both a legal and a financial question. You need to ask your attorney and/or accountant about that.